I really don’t like talking about myself, but as I have an ‘About’ section on my website, I thought I should probably write at least something ‘about’ me. 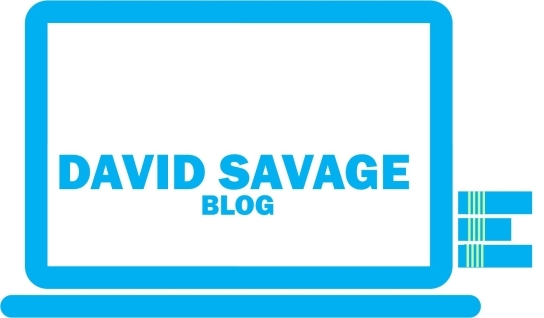 You have probably already deduced that my name is David Savage, and this is my blog. You’d be correct, and I’d like to tell you a little about what led me here and why the blog exists. I am a computer technician with over twenty years’ experience in building and repairing PCs and laptops. I really enjoy tech and gadgets, but around seven years ago, I made the (possibly slightly mad) decision to change path completely and pursue the other thing I love doing: writing! I jointly started Whatsgoodtodo.com – a media website with things to do, and product and venue reviews – with a friend and have never looked back! What’s Good To Do is great, and I spend the greater part of my working life managing the technical side of the website, which averages over 1 million hits per month, as well as managing a team of over 100 reviewers. I attend press events for WGTD, as well as regularly writing for the website, and am now an NUJ registered journalist. DavidSavage.co.uk is different though. It gives me the opportunity to write about what really interests me! I love reading, mostly true crime and thriller fiction, but there is very little I won’t read* – I have even reviewed a book about hearses! My inner geek just won’t go away and one of my favourite things to do is try out and write about new tech and gadgets, as well as test-running children’s toys and anything educational. Some of the items I have reviewed are things I have bought myself and just wanted to write about. Other things have been given to me by authors or companies for the purposes of writing an honest and impartial review. Some links on the reviews may have Amazon affiliate links, if you purchase the item using this link, I will receive a small commission. Whilst I particularly like writing about tech and toys, my other half and I also love writing about days out we have been on with the kids, hotel stays and stuff for the house. I do not charge for reviews so if you would like me to review your product or venue just email me at info@davidsavage.co.uk. *I constantly read and review books, so my book reviews can now be found on my dedicated book reviews website: Whatsgoodtoread.co.uk.